Carnival Cruise Line has taken delivery of its new 133,500-ton ship, Carnival Horizon, the 26th ship to join its fleet. The 3,954-passenger ship was officially delivered in a traditional maritime handover ceremony held at the Fincantieri shipyard in Italy yesterday. Now the ship will reposition to Barcelona where it will depart 2 April on an inaugural 13-day voyage – the first of four sailings from the Spanish port. 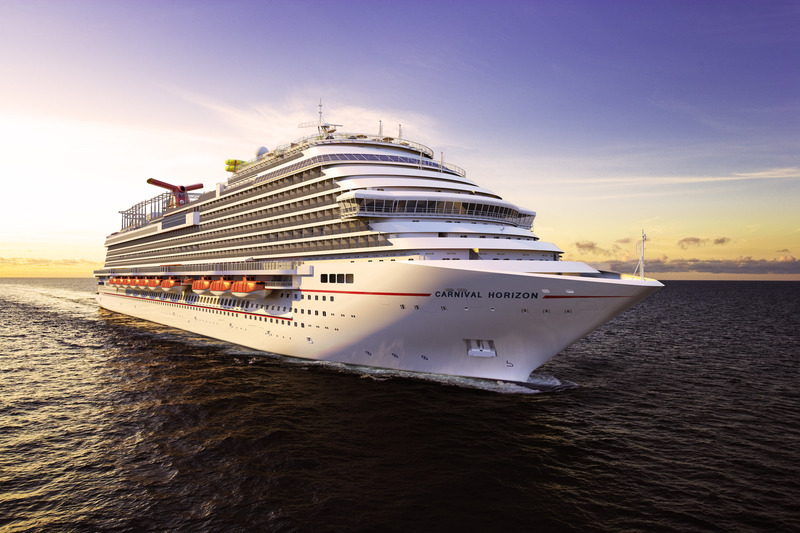 Carnival Horizon will then operate a trans-Atlantic crossing before arriving in New York on 23 May for an overnight gala and naming ceremony featuring the ship’s godmother, Grammy award-winning singer and actress Queen Latifah. Carnival Horizon – the second in the line’s Vista-class – has unique attractions including a new Dr. Seuss-themed WaterWorks aqua park, Bonsai Teppanyaki, the line’s first teppanyaki venue, and Guy’s Pig & Anchor Smokehouse|Brewhouse serving up barbecue favourites created by Food Network star Guy Fieri, as well as four new craft beers brewed on board.